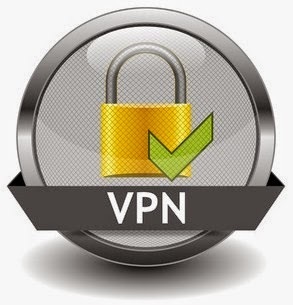 A Virtual Private Network (VPN) is a network technology that creates a secure network connection over a public network such as the Internet or a private network owned by a service provider. Large corporations, educational institutions, and government agencies use VPN technology to enable remote users to securely connect to a private network. A VPN can connect multiple sites over a large distance just like a Wide Area Network (WAN). VPNs are often used to extend intranets worldwide to disseminate information and news to a wide user base. Educational institutions use VPNs to connect campuses that can be distributed across the country or around the world. In order to gain access to the private network, a user must be authenticated using a unique identification and a password. An authentication token is often used to gain access to a private network through a personal identification number (PIN) that a user must enter. The PIN is a unique authentication code that changes according to a specific frequency, usually every 30 seconds or so. There are a number of VPN protocols in use that secure the transport of data traffic over a public network infrastructure. Each protocol varies slightly in the way that data is kept secure. IP security (IPSec) is used to secure communications over the Internet. IPSec traffic can use either transport mode or tunneling to encrypt data traffic in a VPN. The difference between the two modes is that transport mode encrypts only the message within the data packet (also known as the payload) while tunneling encrypts the entire data packet. IPSec is often referred to as a "security overlay" because of its use as a security layer for other protocols. Secure Sockets Layer (SSL) and Transport Layer Security (TLS) use cryptography to secure communications over the Internet. Both protocols use a "handshake" method of authentication that involves a negotiation of network parameters between the client and server machines. To successfully initiate a connection, an authentication process involving certificates is used. Certificates are cryptographic keys that are stored on both the server and client. Point-To-Point Tunneling Protocol (PPTP) is another tunneling protocol used to connect a remote client to a private server over the Internet. PPTP is one of the most widely used VPN protocols because of it's straightforward configuration and maintenance and also because it is included with the Windows operating system. Layer 2 Tunneling Protocol (L2TP) is a protocol used to tunnel data communications traffic between two sites over the Internet. L2TP is often used in tandem with IPSec (which acts as a security layer) to secure the transfer of L2TP data packets over the Internet. Unlike PPTP, a VPN implementation using L2TP/IPSec requires a shared key or the use of certificates. VPN technology employs sophisticated encryption to ensure security and prevent any unintentional interception of data between private sites. All traffic over a VPN is encrypted using algorithms to secure data integrity and privacy. VPN architecture is governed by a strict set of rules and standards to ensure a private communication channel between sites. Corporate network administrators are responsible for deciding the scope of a VPN, implementing and deploying a VPN, and ongoing monitoring of network traffic across the network firewall. A VPN requires administrators to be continually be aware of the overall architecture and scope of the VPN to ensure communications are kept private. A VPN is a inexpensive effective way of building a private network. The use of the Internet as the main communications channel between sites is a cost effective alternative to expensive leased private lines. The costs to a corporation include the network authentication hardware and software used to authenticate users and any additional mechanisms such as authentication tokens or other secure devices. The relative ease, speed, and flexibility of VPN provisioning in comparison to leased lines makes VPNs an ideal choice for corporations who require flexibility. For example, a company can adjust the number of sites in the VPN according to changing requirements. There are several potential disadvantages with VPN use. The lack of Quality of Service (QoS) management over the Internet can cause packet loss and other performance issues. Adverse network conditions that occur outside of the private network is beyond the control of the VPN administrator. For this reason, many large corporations pay for the use of trusted VPNs that use a private network to guarantee QoS. Vendor interoperability is another potential disadvantage as VPN technologies from one vendor may not be compatible with VPN technologies from another vendor. Neither of these disadvantages have prevented the widespread acceptance and deployment of VPN technology.